NILPHAMARI: Farmers of Domar, Dimla, Jaldhaka, Saidpur and Sadar upazila under Nilphamari district are expected bumper production of maize in this season due to the suitable soil, favourable weather conditions and timely supply of necessary agri-input. Farmer Tahidul Islam, 38, son of late Jashim Uddin of Uttar Harowa village under Sadar upazila of the district said, “This year I have cultivated of maize on one acre of land, which costs only Tk 7,000. Now I am happy and expecting minimum Tk 8,000 to 10,000 as profit from the land”. On the other hand, farmers of Dimla upazila are widely cultivate the maize at Teesta based sandy area in this current season. 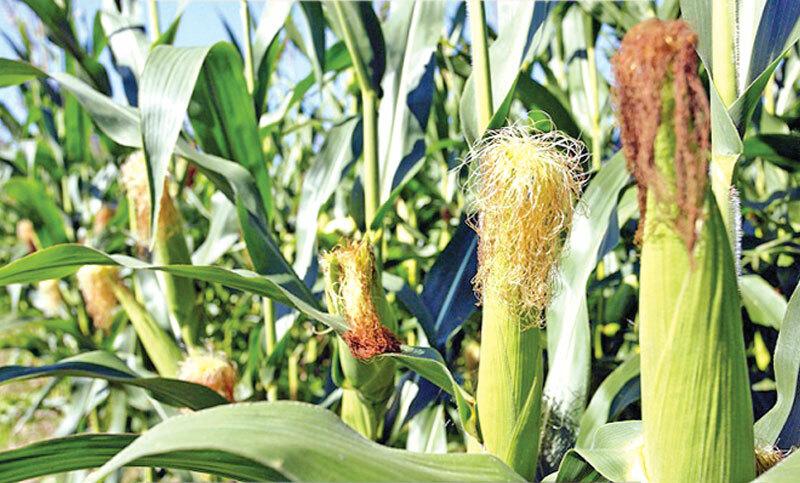 Farmer Fazlur Rahman, 52, son of late Ajgar Ali of Pagalpara village under Dimla upazila of the district said, “This season I have cultivated of maize on 2 acres of sandy land spends Tk 15,000. Now I am expecting minimum Tk 12,000 to 15,000 as average profit from the crop”. While contacted Abul Kashem Azad, Deputy Director (DD) of the Department of Agriculture Extension (DAE), Nilphamari told the correspondent, “The farmers of Domar, Dimla, Kishoreganj, Saidpur and Sadar upazila have been widely cultivated of maize in this season. This year the cultivation target was 18,395 hectors of land and the achievement of 20,800 hectors of lands till now”. “The BADC office supplied high yielding variety of maize seeds at a fair price among the farmers of six upazila of the district”, said Kamal Kanti Barman, Senior Assistant Director of Bangladesh Agriculture Development Corporation (BADC), Nilphamari.